The women’s and men’s squads are made up of people of all ages, abilities, fitness levels and aspirations. Some have rowed at university a long time ago, or are returning to rowing after a break, some have been inspired to row through watching the sport on television, some are drawn to the sport because they really enjoy fitness activities outdoors, some really enjoy working in a team and others just want to learn something new. All of those reasons are fine! What is rowing like at Minerva? You can row competitively, Minerva aims at the very highest level of competition, such as Henley and the Tideway races. You can row socially and just come along for fun and when you have time. You can scull or sweep row and you can row in a crew or individually. You can row at weekends or on a weekday. We also have mixed crews. The club runs regular land training sessions including circuits and training on rowing machines with fellow squad members or you can train when it suits you. As you might expect there are plenty of opportunities to socialise and events outside of training that we all enjoy when not in lycra! If you’ve never rowed before and want to learn we run learn to row courses, please have a look at upcoming course details. Minerva Bath has a growing women’s squad, encompassing a range of ages and abilities. We compete in a number of regattas and head races throughout the year to suit every individual. Whether you are interested in social rowing or competing at a high level, Minerva RC has something for you. We usually enter crews in the Fours, Eights and Pairs Heads achieving some very respectable times. Our enthusiastic women’s squad is keen to capitalise on its growing success. We have a large number of coaches at the club with Level 2 certificates who are dedicated to ensuring everyone is encouraged to achieve their potential. We have regular training sessions as a squad, both on the land and the water, ensuring that members train together to gain a competitive edge but also making things very social. Minerva Bath has a growing reputation for rowing excellence on both the regional, national and international sphere. The men’s squad is a small and friendly squad which hosts an open door policy to all who wish to row, regardless of aspirations and experience. 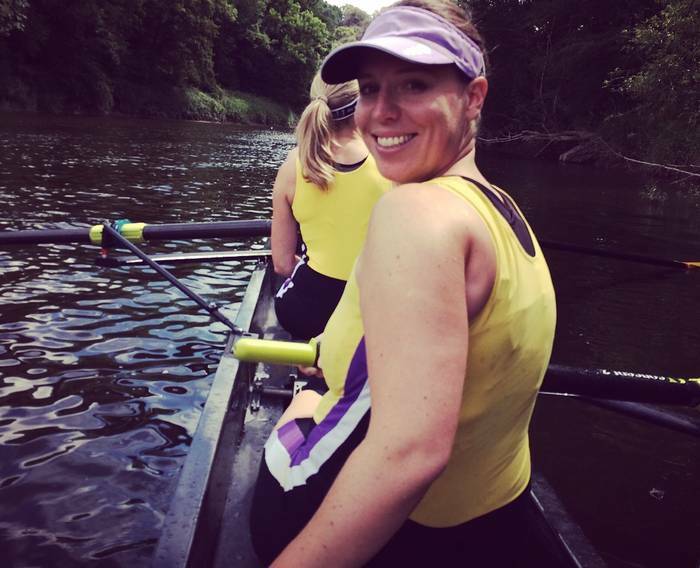 There is something for everyone within our squad, from recreational sculling to coached outings. The squad itself is integrated in order to help nurture new rowers and to share experiences. 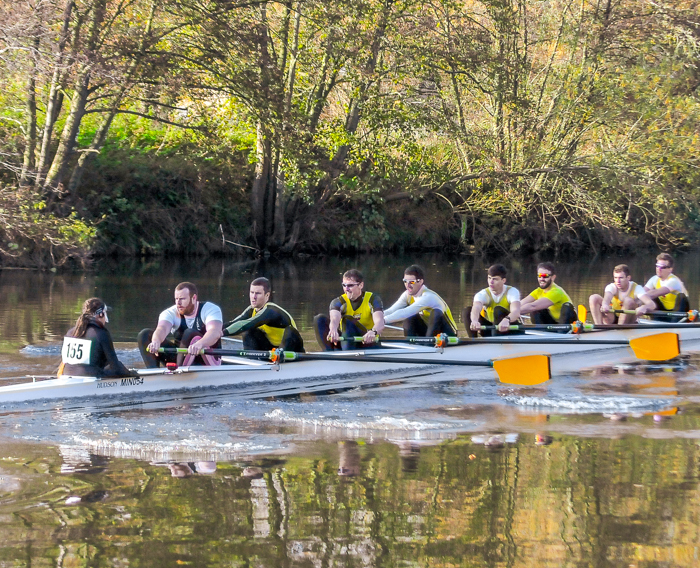 Minerva Men’s squad mainly attend regional events, but have raced at national events in the past such as Head of the River and Henley Royal Regatta. 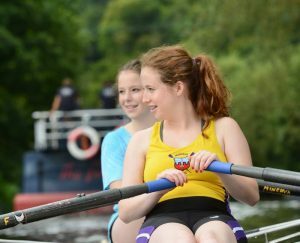 We encourage those with previous rowing experience to arrange a drop-in session on the water, and those new to the sport to book onto one of our structured Learn to Row courses. 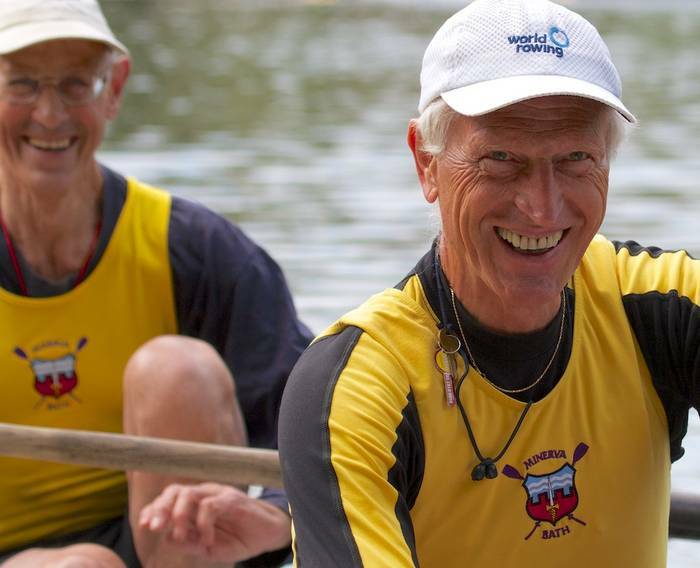 Minerva Bath Rowing Club boasts a large number of masters rowers, helped mainly due to the inclusion criteria encompassing anyone over the age of 27. We have an increasing number of crews regularly competing at both regional and national regattas. We’ve had successes at Henley masters, HOCR, at Masters World Championships and European championships and wins at regional regattas including Ironbridge, Bewdley and Avon County. The group is mixed age wise, but is predominantly more experienced rowers. Our Masters squad includes two former Olympians as well as elite rowers returning after a break from rowing. Our midweek squad began following a weekday learn-to-scull course. The mixed squad – aged from 24 to 70 – now meets three mornings a week, with supervised coaching included. Many members are retired, semi-retired, self-employed or work part time. If you cannot row at weekends due to family commitments, or just prefer to be out when the river is less busy, this is the squad for you. We also have rowers returning to the sport, who not only regain their passion for rowing, but help in supporting new rowers to improve, compete in events, or row recreationally. To date more than 100 people have completed a Sport England grant-support learn-to-scull programme since 2016. Many of us now compete at local and regional level in regattas, head races and indoor events. One of our age 50+ women rowers, who learned to row in 2016, recently won a gold medal at the British Indoor Rowing Championships. If you are interested in joining us please get in touch. We have an active and enthusiastic junior squad, who row both recreationally and competitively for the club. Minerva Bath has always had a strong junior contingent who have competed in numerous competitions. Achievements include a 4th place in the National Championships (4-) and Tom Hope came 5th in the Junior Interregionals (JIRR). Tom has since moved to Maidstone RC and has won both JIRR and National Championships in single sculls. Alex Wildy went from our junior squad to captain the rowing club at Leeds university and Ella Sexton has gone on to Sheffield university to captain the men’s novice squad. Our junior squad is currently full, to join the waiting list and for more information please contact the Junior Squad Co-ordinator. Minerva Bath is seeking to recruit new coxes to the club. 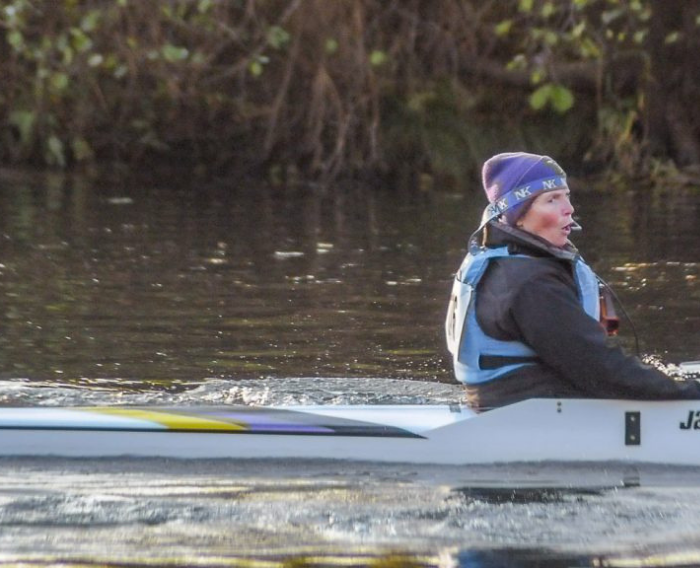 At any point during the rowing year the success of the club’s crews and their ability to get out on the water to train relies entirely on that crew having a cox. As a cox you’re not only a member of the crew, some might argue that you are the most important member! 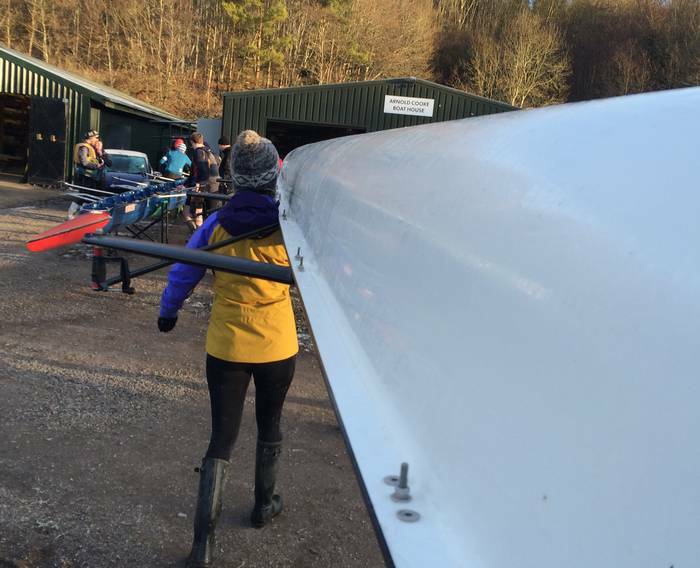 We are happy to train you up from a complete novice who has never been near a rowing boat before and we’d be delighted to welcome people along to the club who have previous coxing experience.